SMS marketing use is on the rise, and with good reason. Some of the biggest names out there are using it, and customers want it. Text marketing is easy, simple and enables a small business to build fast and meaningful relationships with their customers. If you haven’t learned what it can do for your small business it is time to get with the program! 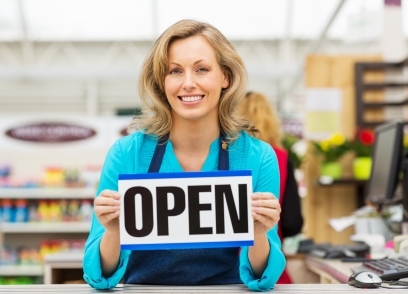 Take a look at these 5 reasons your small business needs SMS marketing. Small businesses do not have the same type of budget as the larger businesses, but that is okay thanks to text marketing. It is affordable, costing only pennies per message, and it is effective, too. Along with cutting your marketing budget in half, SMS marketing is quick and simple, with even mass text messages being sent in just seconds of time. A text message is simple and straight to the point, and that is attractive to consumers who lead busy lives. Even while on the go a consumer can engage with your brand via the text message while also helping themselves to fantastic deals and other exciting offers. Around 95% of the US population is using text messaging. And, open rates for it is pretty good with an average 93% open rate. And, most of those messages are read within three minutes of their receipt! Text messages are read and enjoyed by a wide age bracket of people, and the sending of the messages allows you to stay in regular contact with them. You will gain more customer loyalty, more profits and more feet inside of your physical store. The ROI, or return on Investment, is absolutely stunning with text marketing. There are low risks and big gains with the use of SMS marketing. Engagement rates are high, it is simple and it is easy and you can get a lot of peace of mind from all of those facts. As long as you are giving the consumer great offers and information you can always expect the ROI to be more than worth the money and time invested into the ordeal. Some forms of marketing work great for short term growth, and that is something that many businesses need. however, it is when long-term growth is possible that the real results begin to show. There is plenty of that available with SMS. And, people want text message marketing; they want these offers and specials, and things are only getting bigger and better from this point. These are 5 exciting reasons that your small business should get on top of things and implement an SMS marketing strategy if you’ve yet to do so. There are far more reasons, however, so make sure that you are able to enjoy them all, and the successes that come along with it, and get text marketing in your business world.